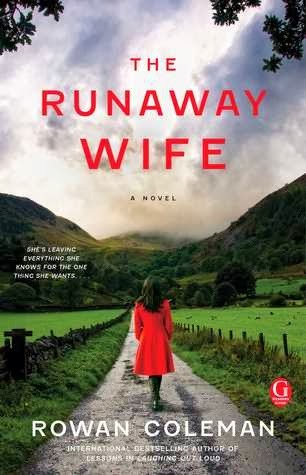 It took me awhile to get into The Runaway Wife, but once I did I enjoyed it as I have enjoyed this author's writing in the past. I sort of feel that it took me a while to get into the book as the beginning seemed a bit confusing at first with trying to figure out what was going on. I am not sure that there needed to be such a mystery over why she had left and who she was running from. It didn't seem to add anything to the story though I understand why it was done. That being said, the book was quite enjoyable though I can't say I could understand the way Rose was obsessed with someone she had met so briefly and so long ago. Though I suppose a victim of abuse might find any shred of hope to be able to continue on. The Runaway Wife dealt with some uneasy issues, and I do like the fact that it made me think about what I would do in Rose's situation. Books that challenge me to question life are ones that I tend to enjoy because they are more than just entertainment as this one proved to be. The story was confusing at times as it would jump from past to present and back without much warning and it wasn't easy to realize when it had happened at first. It did help put the whole story together, but I think that the jumps could have been set up better so they were more logical or apparent. The Runaway Wife had certain gaps like this and a beginning that lagged, but I still did love the story and the writing enough that I would recommend it, especially to anyone who is already a fan of Coleman. ***Lydia also read this one when it was released in the UK under the title Dearest Rose. Read her review here.